I was born in the Chicago, IL neighbourhood of Hyde Park on April, 1944, to my parent Bernice Irene Medley Heckman and John Jacob Heckman. I have one sister, Jean Ellen Heckman Bates, who is four years older. Although I was born near the University of Chicago, my family was not connected with it. Our family lived in the Chicago area until 1956, when we moved to the border South (Kentucky, 1956-1957 and Oklahoma, 1957-1958). My brief time in the South and a later trip to the Deep South in the early 1960s with my Nigerian college roommate left lasting impressions on me as I encountered the system of racial discrimination known as “Jim Crow” in its final manifestation. The separate water foundations, park benches, bathrooms and restaurants of the Jim Crow South startled me. These experiences motivated my lifelong study of the status of African Americans, and the sources of improvement in that status. My high school years were spent in Lakewood, Colorado, a suburb of Denver. A decisive influence on my intellectual development was my exposure to Frank Oppenheimer, brother of J. Robert Oppenheimer, Scientific Director of the Manhattan Project that developed the atomic bomb in World War II. Frank Oppenheimer was a distinguished experimental physicist in his own right. Because of his membership in the Communist Party, he lost his position at the University of Minnesota in the early 1950s. He then became a cattle rancher in Colorado. In 1958, the Superintendent of the local school district in Lakewood asked him to teach physics to a class of students chosen by competitive exam. Oppenheimer closely linked theory to evidence when he taught physics. Under his guidance, I learned the beauty of experimental science and the pleasure of matching theory to evidence. Although I later abandoned physics for economics, my enthusiasm for scientific empirical work guided by theory was born in his classroom. Oppenheimer later went on to found the Exploratorium in San Francisco. Through a series of fortuitous circumstances, I attended Colorado College in Colorado Springs, Colorado on a generous Boettcher Foundation Fellowship given to students from Colorado to attend colleges in Colorado. I received a good education there, and majored in mathematics. I also took a wide array of liberal arts courses, including a course on economic development taught by Ray Werner that read through the classics of economics. Reading Adam Smith, David Ricardo, Arthur Lewis and, in a supplement to that course, Samuelson‘s Foundations of Economic Analysis, was an exciting experience that shaped my desire to learn more economics. After college, I briefly attended the University of Chicago in economics. I found Milton Friedman fascinating and also enjoyed the lectures of Harry Johnson. I transferred to Princeton in large part because of Arthur Lewis and his work on economic development. He did not disappoint. My interests in development waned, however, and I was increasingly drawn to the study of labor economics and econometrics. During my graduate student days, there was an ongoing large scale empirical project on labor supply (conducted by William Bowen and T. Aldrich Finegan and published in 1969), and projects on labor market models (conducted by Orley Ashenfelter, Stanley Black, Ray Fair and Harry Kelejian). These empirical projects were a major source of stimulation to my intellectual development. In addition I was fascinated by the pioneering work of Richard Quandt on estimating travel demand – a field that would later come to called “discrete choice theory” – and in particular the problem of using econometrics to estimate the demand for new goods. The econometrics group was young and interactive. The ethos at Princeton at that time encouraged the application of economic theory and econometric methods to solve policy problems. There was ferment in the air both at Princeton and elsewhere as many new sources of microdata became available to study the labor market. There was great intellectual challenge in devising methods to use these data creatively. Modern labor economics as developed by Gary Becker and Jacob Mincer provided an exciting new intellectual framework for interpreting the new microdata. I was particularly struck by the simplicity and elegance of Jacob Mincer’s seminal paper on estimating the labor supply of women. The novelty of that work and the open questions raised by it offered fascinating research opportunities. One of my close advisors, Al Rees, was actively engaged in setting up the first large scale social experiment. I followed this research with interest, enrolling some of the first participants into the New Jersey experiment. The scientific study of labor economics provided the opportunity for me to unite theory with evidence my lifetime intellectual passion. After graduate school, I was fortunate to be offered a position at Columbia University, and learned much from my colleagues there. It was from Kelvin Lancaster that I learned about problems with the representative consumer model and methods for dealing with them. Like Quandt, Lancaster was interested in the problem of estimating the demand for a new good. From Ned Phelps, I learned about the importance of securing micro foundations for macroeconomics and how to write for an audience of professional economists. The atmosphere at Columbia was open and encouraging. I was drawn to the labor workshop headed by Jacob Mincer, and learned from numerous student dissertations written at Columbia at the time. I had the good fortune of being invited to join the National Bureau of Economic Research (NBER) which was then located in New York. NBER had a first rate group of highly interactive empirical scholars. Victor Fuchs played an important role in shaping this group and holding it together. Jacob Mincer and Finis Welch were the guiding lights of a brilliant empirical environment. 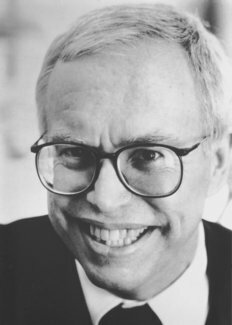 I learned much from all of my NBER colleagues and developed a close relationship with Bob Willis which greatly influenced my thinking about the importance of heterogeneity in economics. I also learned from frequent visitors to NBER such as Gary Becker, Reuben Gronau and Sherwin Rosen. NBER at that time was an intense intellectual environment in which data, theory and econometrics were all taken seriously. The research agenda for much of my subsequent research was shaped by stimulating interactions at the New York NBER. In the Summer of 1974, I visited the working group of Daniel McFadden at Berkeley. His ability to unite theory and evidence to solve practical problems set a valuable example and affected my own approach to empirical work. I later generalized his work to dynamic settings. I was recruited by the University of Chicago in 1973. I have been there ever since except for an occasional leave and a two year appointment at Yale, 1988-1990. Chicago is an exciting place which renews itself. The workshop system encourages close reading and frank discussions of papers and ideas. When I first arrived, Milton Friedman was the most prominent economist there and set the standard for open in-depth discussions on almost any topic. Others filled his shoes after he retired. Throughout the years, I have benefited greatly from many colleagues and from many first rate students at Chicago. There is a very rigorous intellectual standard in the Chicago environment. Discussions are conducted at a high level on all aspects of economics. Gary Becker, William Brock, Lars Hansen and Jose Scheinkman have been especially stimulating and helpful. I also enjoyed the cross disciplinary stimulation of my 20 year interaction with the sociologist James Coleman. I have also benefited from many interactions and co-authorships with the versatile Burton Singer of Princeton. At Chicago, I have had close relationships with many students with whom I have co-authored numerous papers and from I learned much. One of the greatest pleasures of academic life is watching young tentative students form into finished mature scholars with well developed ideas. Much of my work in the past 20 years is joint work that emerged from interactions with my students and colleagues in offices and classrooms. The Chicago environment of open rigorous discussion has greatly enriched my research. In particular, long-term collaborations with Chicago students such as Bo Honoré, Tom MaCurdy and Richard Robb have been a source of personal pleasure and intellectual stimulation. More recent interactions with Lance Lochner, Jeffrey Smith, Christopher Taber, Petra Todd, and Edward Vytlacil have been very fruitful. I look forward to continued intellectual relationships with all of my former students, and future generations of students. Since 1991, the American Bar Foundation has supported my work on the impact of law on the economy. My colleagues there have given me a new vista on law and social sciences. I am especially grateful to Bryant Garth, the director, for supporting me throughout the years. I am also grateful to the National Science Foundation and in particular, Daniel Newlon, for long term support for my research. I am equally grateful to the National Institutes of Health, and in particular, V. Jeffrey Evans, for continued long term support of my research. On a personal note, I married Lynne Pettler in 1979. She has shared her knowledge of sociology, and raised our two able children: Jonathan, an aspiring mathematician born in 1982, and Alma, an aspiring actress born in 1986. My family life is a deep source of satisfaction.